BLACK BELT MAGAZINE August/September 2015. 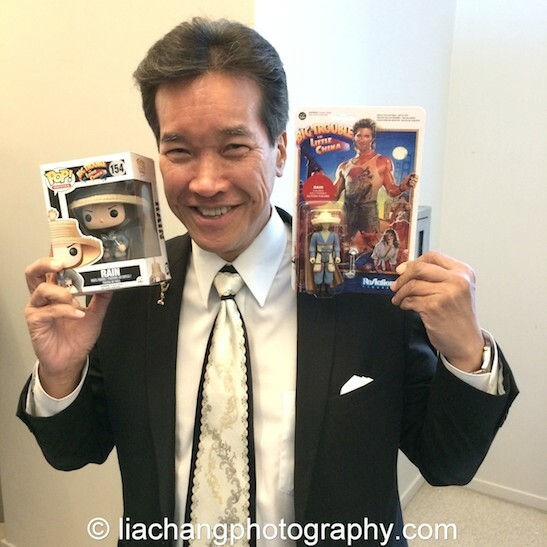 On April 8, I flew to LA from New York to attend the sold out screening of the cult classic Big Trouble in Little China, part of the Big Trouble in Little Tokyo film series presented by JANM in partnership with Angry Asian Man, First Pond Entertainment, and Visual Communications. 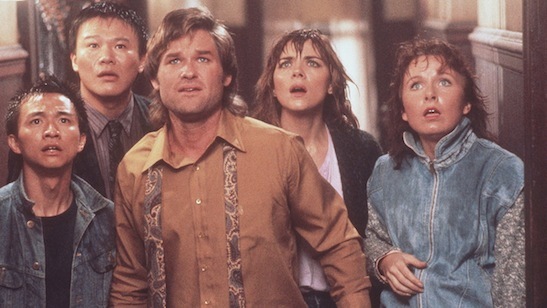 John Carpenter’s 1986 Big Trouble in Little China, featured Kurt Russell as Jack Burton, Kim Cattrall as Gracie Law, Dennis Dun as Wang Chi, James Hong as David Lo Pan, Victor Wong as Egg Shen, Kate Burton as Margo, Donald Li as Eddie Lee, Carter Wong as Thunder, Peter Kwong as Rain, James Pax as Lightning and Suzee Pai as Miao Yin. The action-adventure film stars Kurt Russell as truck driver Jack Burton, who helps his friend Wang Chi (Dennis Dun) rescue Wang’s green-eyed fiancee (Suzee Pai) from bandits in San Francisco’s Chinatown. They go into the mysterious underworld beneath Chinatown, where they face an ancient sorcerer named David Lo Pan (James Hong). 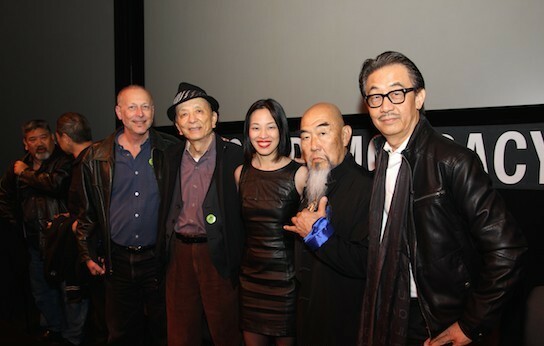 The night proved to be an epic reunion of historic proportions with my fellow cast members including the legendary James Hong (David Lo Pan), Peter Kwong (Rain), Gerald Okamura (Wing Kong Hatchet Man), Al Leong (Wing Kong Hatchet Man), George Cheung (Chang Sing #6), James Lew (Chang Sing #1), Jeff Imada (Needles), martial artist Eric Lee, Joycelyne Lew and screenwriter Gary Goldman. 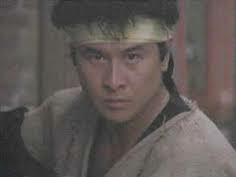 I played a Wing Kong guard in Big Trouble in Little China. It was a rich stroll down memory lane as the cast and screenwriter shared their secrets from the set, how they have navigated working as Asian American actors and stuntmen in Hollywood, and how Big Trouble was the jumping off point for many of their successful careers in the industry. The screening was followed by a Q & A and an after party at Far Bar. 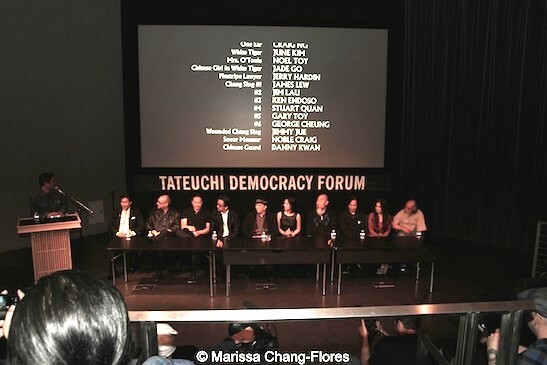 Below is an edited transcript of the Q & A moderated by Milton Liu, Director of Programs and Artist Services, Visual Communications. Q:Tell us something about the film, what this meant to you, and any kind of special anecdote that you might have. 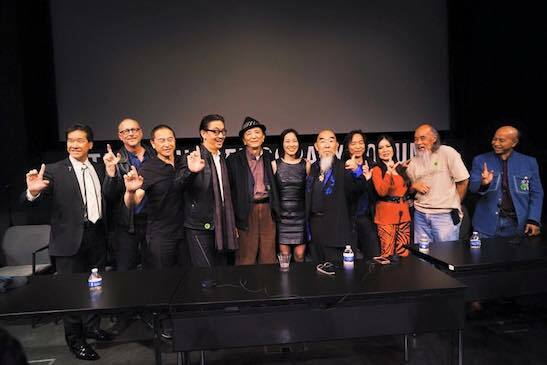 Peter Kwong: After about thirty years, this film has taken an incredible journey. Lately, they’ve come out with a comic book, some more action figures. There’s a lot of activity that has been going on recently. What the fans would like to know about the film, there are a lot of secrets of what went on behind the scenes to make this film. This film had a lot of impact because it came out right after Year of the Dragon. We of the crew and the cast had to do a lot of work on it in order for us to fight the protests that were going on at that time. Not only did it represent fun and games, but it represented a critical point of where the community met Hollywood. John Carpenter was really amazing because he really reached out to cast and crew. He really asked for all of us to put in our imput. What was nice about it for example, the long hair. I’ve always fantasized about wanting to have that character because of the old Chinese movies, the old sword fighting movies. I was the only one of the three Storms that wasn’t from Hong Kong. They knew I was in trouble. I had to sit in three hours of makeup everyday just to get in and out of the $3000 wig. Kwong then treated the audience to a double sword demo, straight from the final scene of the film. Gary Goldman: I’m Gary. I’m the original writer of the screenplay, along with my partner David Weinstein, who isn’t here tonight. This was actually my first screenplay and the first movie I wrote that got made. I put in all my dues before I wrote the screenplay. It was kind of a dream come true. This was a movie that I wanted to do something really different and original. I had been watching a lot of Asian movies. The great inspiration for this movie was the first movie by Tsui Hark called The Butterfly Birds, that I happened to catch by a miracle somewhere. Having seen it, I said, “Oh my God, I’ve got to take all this wonder and bring it to a Hollywood movie.” I did that, inspired by a lot of cheesy movies, and wonderful movies like Master of the Flying Guillotine, great Japanese movies like Zatoichi, and put it all together with the idea of trying to find an American subject where I could take all of this wonderful material and do a Hollywood movie. This was the result. Q: Did you base Jack Burton on anyone in particular? Gary Goldman: The original version of Big Trouble in Little China was written about a cowboy in Chinatown in 1899. He was a cowboy who worked on the railroad shooting buffalo for the Chinese workers to eat. What happened is that we were originally trying to package it, finance it and get it made as a Western, the way we originally wrote it. Finally they revised it as a contemporary story, and that is the formula that got made. It was based more or less on a James Garner character-like Maverick-somebody like that. The key detail about Jack Burton that was carried over was that in the original bet, he was a great shooter. He was a great gunman. He wins the bet with Wang by betting that he could shoot the eyes out of a kite, that’s way up in the sky. He takes the bet and Jack surprises everybody by actually shooting the eyes out of the kite, but then he gets into battle and he can’t hit anybody. He’s totally useless in a fight. Wang says to him, “What is this? You are the greatest shot in the world.” He says, “Yes but I never was no good at shooting people.” That was the germ of the character. James Lew: I was trying to come up with something that would symbolize the respect and brotherhood of the Chang Sings and part of the movie is all about. It actuall came from one of my styles, White Eyebrow. This is the real salute. (he demonstrates the salute) So I took away the fist. It became this classic legend itself. People salute to me on the street sometimes. Big Trouble was a very special movie for me. This was my first shot at becoming a martial arts coordinator. It was a great experience for me. 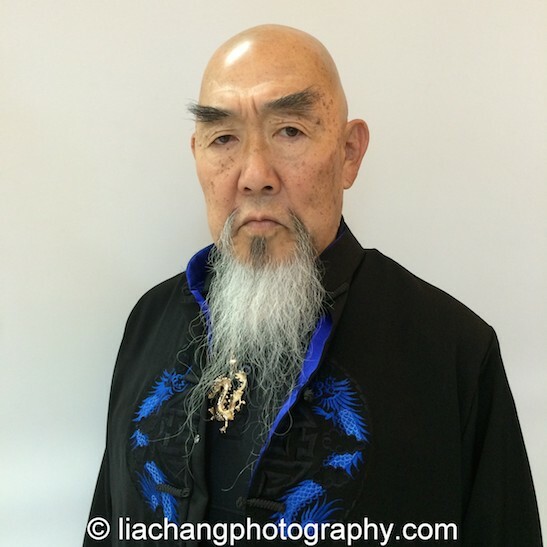 George Cheung: I’m George Cheung. We almost shook the pillars of heaven this evening, didn’t we? All I can say is that this movie has made a lot of stars. Peter Kwong-SAG politician, now; Gary, the writer, he still can talk, which is good; Dragon Master just finished coordinating Rush Hour; James Hong, the legendary James Hong, there’s only one, he’s my idol; Gerald I don’t want to talk about Gerald, we’re on a different team; Jeff Imada, one of the greatest stunt coordinators- Bourne Identity, Twilight; Jocelyn, always beautiful; Al Leong, what do you say guys, give it up; Eric Lee, the ultimate martial artist. As for myself, I’m George Cheung and I know right from the beginning that I could never be James Hong, so I gave it up. Now they call me the Asian Robert De Niro. I’m going to go that route. 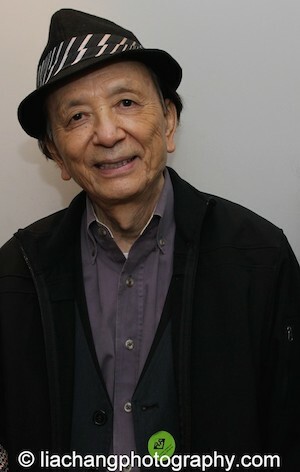 I give you to my idol, James Hong. James Hong: I’m still looking for the girl with the green eyes and when I find her I shall marry her. Actually I’m going blind looking for her. However, I did find my wife and she’s making me whole again. Like all these people here have said, this is a movie that is within our hearts. I went back to Twentieth Century Fox not long ago and saw that stage. When I stepped in the door, I almost cried because it did made a lot of us what we are today. Who should come up to me from the next table, I couldn’t recognize him at first-John Carpenter. I looked up and he said, “John Carpenter.” I couldn’t believe it. I just got up and hugged him. It was the first time I’d seen him since the movie. 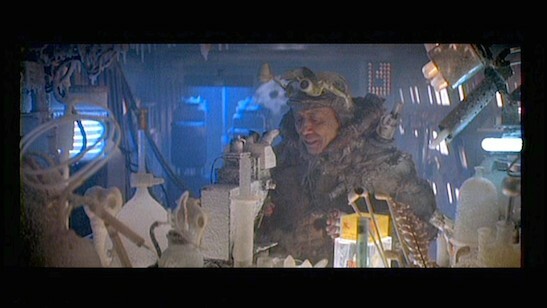 James Hong as Hannibal Chew in Blade Runner. There are some films that you do that come and go, like R.I.P.D., and then there’s Bladerunner, I did Chinatown. Now I’m the senior, I’m entitled to brag a little, this the 61st year I’ve been in show business. I’m now 86, and there’s many more films on the horizon for me, but there will never be another Big Trouble in Little China. I’ll tell you why. I started East West Players and that organization gave us a lot of opportunity and still does. 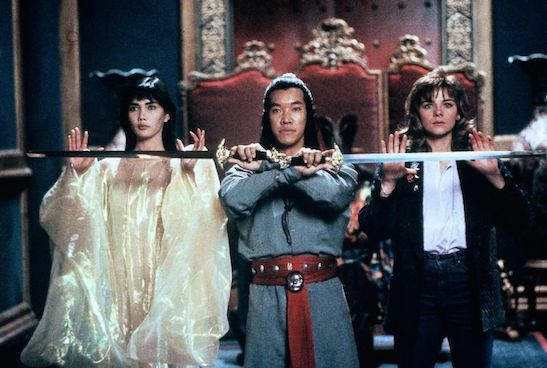 Big Trouble in Little China was the kind of movie for us, for people here – martial artists, the greatest of all, actors, writers, that movie, John gave us all a chance. In fact, a few of you here were stunt coordinators, choreographers, and you were promoted to associate producers by the end, that’s how hard they worked. So that was the kind of atmosphere that existed on the set. I slept outside the stage, overnight in a little small trailer. In those days, we couldn’t afford much. Believe it or not, that whole film was made for 25 million dollars. Now it would cost you close to 150. Everybody here put 150% of effort into that movie, way beyond what they were paid. That’s the kind of movie we did. However, I must say, as Peter started off to say, it still didn’t open the field wide enough for Asian Americans. In a way, after that movie, we still just took minor roles, not principal roles, of people that are in the principal walk of life like doctors and scientists. We still existed as cliché Chinaman in the movies for a long time. Now it’s starting to come up. I hope you people will write the studios and speak up and open up the field for more Asian Americans. I don’t know how many more years I have left in this industry. George Cheung: I wish you another 86 more years. 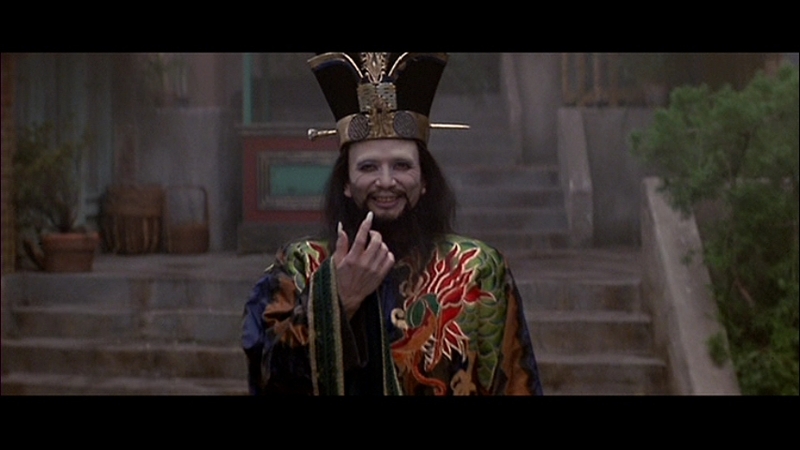 James Hong: But it’s been fun. A great, great career. I started out, believe it or not, with Groucho Marx. That’s how many eras ago. All of you have something to look forward to. 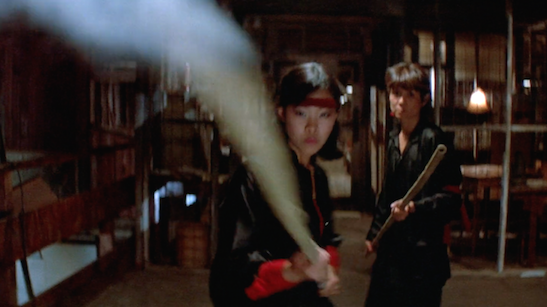 Lia Chang and Donna Noguchi in John Carpenter’s Big Trouble in Little China (1986). Lia Chang: I’m Lia Chang. I’m a New York based actress, photographer and multi-platform journalist. This was my second movie. The first movie I did was Berry Gordy’s The Last Dragon, and this was my second martial arts themed movie. Since this movie was made thirty years ago, let me refresh your memory as to what my role was in the movie. 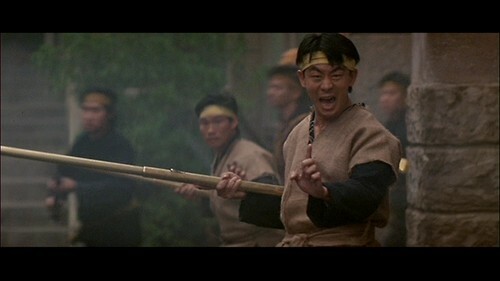 When Dennis Dun and Donald Li are coming across the bridge to rescue the women from captivity, I am the first Wing Kong guard that tries to stave them off with my teargas staff. It was so exciting for me. I started doing Kempo Karate and Wing Chun Kung Fu since the 7th grade, so to be able to come and be part of this was an amazing dream, and working with James Lew as my coordinator. Just a sea of badasses on this stage. As for my role, it was such a role of empowerment for women; we were the Wing Kong guards. One of the other things that I do, is that I am a journalist. I belong to the Asian American Journalists Association. I’ve come across a lot of Asian American men for whom Big Trouble in Little China and The Last Dragon are their favorite films, because of how Asian American men and Asian Americans were portrayed. Wing Kong guards Shinko Isobe, James Lew, Lia Chang, Dian Tanaka and Donna Noguchi on the set of Big Trouble in Little China in 1985.
martial arts is that? I couldn’t figure it out. They asked me, “Do you know how to use the gun?” I said no. I’m a martial artist. On top of all of this, John created this character, he gave me the two guns. Not only did he give me two gold plated pistols, six shooters, he gives me bullets, bandoliers around my chest, big bullets, I mean humongous. I don’t know if you caught the jest to all of this, what I ‘m trying to tell you guys. Those bullets never fit in a six shooter. There were some people that addressed me on the street to say, “Those bullets are kind of big for the six shooter.” The only thing I can say to John and the rest of the film crew, I’m glad I didn’t run out of bullets ‘cause I would have had a hard time trying to get those bullets into the six shooter. For me, thank you for coming. Thank you for supporting this project. Tremendous amount of people between actors, martial artists and stuntmen. I was lucky enough to be part of this. Thank you very much. 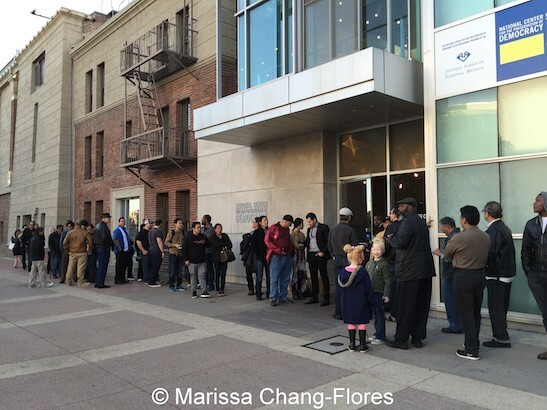 Jeff Imada: Thank you for coming. It’s great to see all of the support for Big Trouble in Little China. It was a great opportunity to work on this project, there’s very few films where there is an all Asian cast with the exception of two Caucasians. And also getting together the greatest martial artists in the area, from Northern California to Southern California on the project. Getting to know everybody very well because of the film. We’d see each other at different events, but to spend a lot of time with everybody on the project, we got to become close fast friends. It’s been great. We’ve stayed in touch. We’re all very close. From the set of Big Trouble in Little China. (1986) (c) Twentieth Century Fox. I’ve been fortunate enough to work with John since that film. The most common question I get when people find out I work with John is, “When is John going to do a sequel to Big Trouble in Little China?” So every six months or so, I bring it up to John, “You know, people always comment about Big Trouble in Little China, and talk about a sequel and stuff. “ About a year ago, a year and a half ago, I brought it up again. I said, “Some other people are commenting about Big Trouble in Little China again. They were wondering when you were going to do a sequel.” He goes, “I’ll do it. Fox owns the rights to it, so why don’t you go to Fox and talk to them about it. If you can get them to do it, they I’ll do the project.” So, there’s some possibility, but only if I go to Fox. I don’t think I’m going to go very far. It’s really amazing to hear around the world, traveling around the world, how the response is for Big Trouble in Little China, and the huge following. I feel really fortunate that I’ve been part of the cast and was fortunate to have been beat up by a lot of the people. In the film, I played 8 or 12 different characters, wearing both colored turbans, mustaches. At the time, there weren’t a lot of Asian stunt people. So a lot of us did double duty and got beat up several times by each other. I just want to thank you all again. Joycelyn Lew: This film is where I met all of my martial arts buddies. I’ve got so many friends who are martial artists. This is also where I started my stripping career. 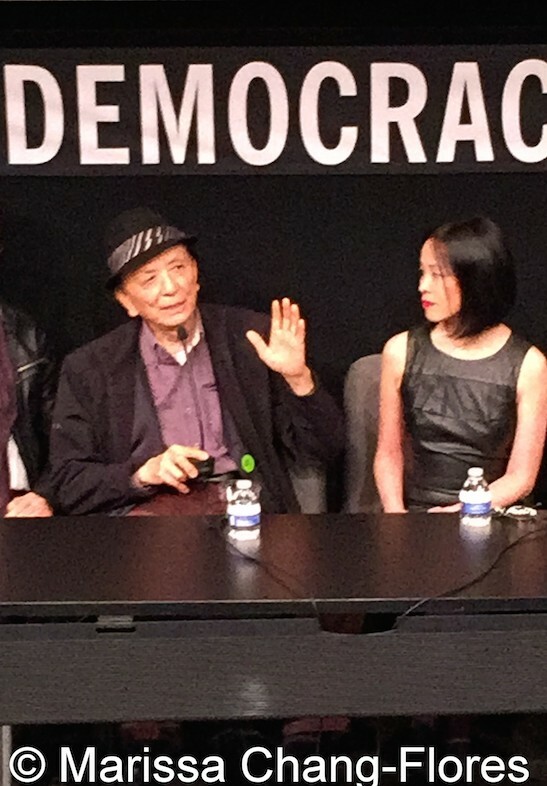 James Hong says to me, “For the premiere, could you do a Chinese Fan dance?” So, I’m thinking the little fan, like that. He goes, “No, we mean like Noel Toy.” I don’t know if you saw the old lady that was the madame? She’s the first Chinese stripper, Noel Toy. She passed away. She’s the one that taught me to do Sally Rand’s big feather dance. So I had to do the premiere in pasties and a g-string. I wasn’t prepared for that. It shaped my career. 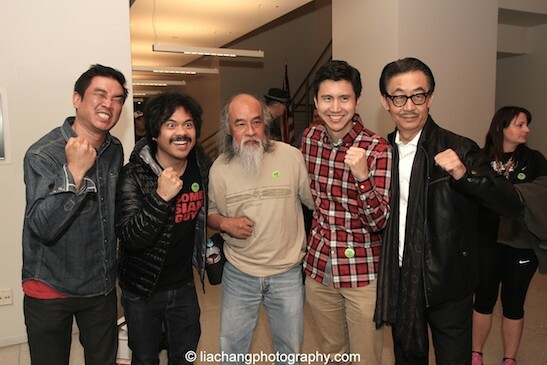 Al Leong: The film was excellent. The way it was written was great. Working with these incredible people here, all these martial arts guys are the best. I love that. John Carpenter actually hired me for the film because I couldn’t get a job on the film. Nobody wanted me on this film. The stunt coordinator, who is no longer alive, a great guy, didn’t know me very well. He knew my dad well, but he didn’t know who I was. I ended up getting a job through John Carpenter himself, which was great. It was fantastic, working with great people, a great story, that’s what makes a great film. I loved it, everything was great and everybody was great. Eric Lee: It’s a great reunion for all these people here. Without this great cast, without the writer here, this would not be possible. I hope we can make it again. Q: Was that cognizant in John’s mind to make sure you could see everything? James Hong: I’d like to comment in that vein. Back in those days, they didn’t do too much with wires. Everything had to be authentic. That’s why you see the authenticity of the martial arts. They had to work day and night, practicing like crazy without the wires. I think the only thing that had wires was that go around, that curve. Other than that, the fighting by these guys was actual fighting. In fact, they didn’t have digital in those days, if you can remember back that far. I stepped on the set one day, in that tunnel scene, underneath where you see all those arches. I said to John, “I was flabbergasted at how great it looked because each arch, tunnel or each curvature was smaller, smaller, smaller-that three dimensional effect of a long tunnel.” That’s the art that’s lost nowadays. Nowadays, you just do it by computer—smaller arches, a long tunnel. Those days, everything that we did, almost had to be created. That whole set with the mouth, coming down the steps of the escalator, it was very dangerous, because as you could see, it was a very narrow escalator, and I was on lifts, 12-inch lifts. All of a sudden, John said, “We don’t have time, we got to do it right away.” I said, “Can’t you get a stunt man, get George Cheung, he’s my stunt man.” He said, “No, no, you just got to step in.” So, with that long robe, I tried to put it over the lifts, and when I stepped on just the part before you go down, the real escalator, I said, “Oh my God, this is going to be my last scene.” Somehow, I just did the horse, clamp the foot tight on the escalator step, and hope for the best. And the escalator took me down. It looked like I was fierce, but I was trembling. That’s the way it was, everything had to be real. Another secret is that when I go through the walls, nowadays it’s easy to do those scenes. I stood on a moving dolly, that they use to move the furniture, and somebody just pulled me along. How cheap can you get? I’m sure if we wrote a book here about Big Trouble, you could hear all the secrets- martial arts-it would make a great book. It would give you an insight of the transition from the real filmmaking to the digital nowadays. Who would like to see that book? 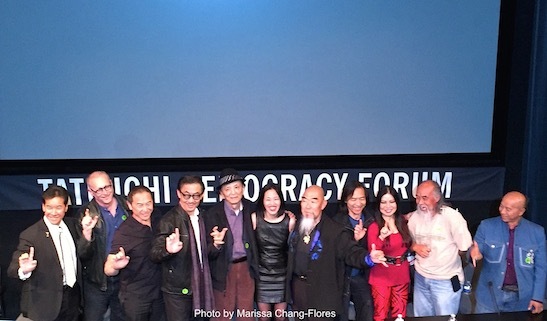 George Cheung, Milton Liu, Lia Chang, Oliver Ike, Gerald Okamura, Peter Kwong, Eric Lee and Ewart Chin at JANM’s Tateuchi Democracy Forum in LA on April 8, 2015. Photo by Marissa Chang-Flores. Peter Kwong and Lia Chang at Far Bar in LA on April 8, 2015. Peter Kwong: I just want to make a quick addition to what this gentleman had brought up, there were several people we wished could have been here, one of them is Jim Lau, because he was associate producer as well as James. But in answer to your question, he’s the one who put all the backstory, all the mythology. 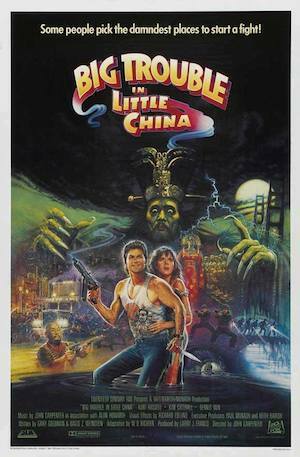 For example, Big Trouble in Little China, was written in the titles in the very beginning, it’s written in Chinese. That was Dan Kwan’s father who wrote that and it has a specific meaning. There was a lot of backstory that’s not familiar to the general public. Jeff Imada: John likes to shoot everything in anamorphic, a real wide frame to fill the frame, and to show the depth and expanse of the sets and everything else, to take advantage of the sets. He really likes to see the action and doesn’t like to go in really tight. To comment on how films are shot really tight nowadays, to me, when it first happened, was on Lethal Weapon 1, the Gary Busey fight. Gary and Mel were supposed to be training in three different styles of martial arts, but because of the time that was needed for them to train and the lack of time because they were in almost every shot through the film, they didn’t get to train as much as they could have or wanted to. Donner shot that very tight, had the rain and the lighting to help mask some of that, and had the doubles doing stuff wide. When they got to Mel and Gary, they were really tight and frenetic. That’s the first time I noticed where it was really tight. I was on the set when they were doing that sequence. When I saw it later, they were saying, “Oh, it’s great because you get the audience right in there and you get involved with the fight and you feel like in there.” I knew it was to also help mask some of that. It really took off from there. I didn’t really notice too many films before that were shot really tight like that. It became really popular and it still tends to be that way. I don’t really care for it either. I feel like it’s like watching Ginger Rodgers or Fred Astaire dancing and having a real tight shot, not taking advantage of their abilities. 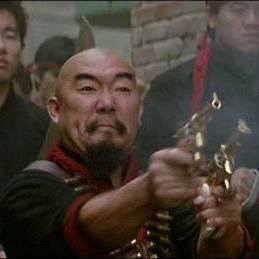 On Big Trouble in Little China, it was great, John shot stuff and you are able to showcase everybody’s abilities. It was quite a pleasure that way. Peter Kwong, Lia Chang and Abraham Ferrer, Exhibitions Director at Visual Communications at the VC offices in LA on April 8, 2015. 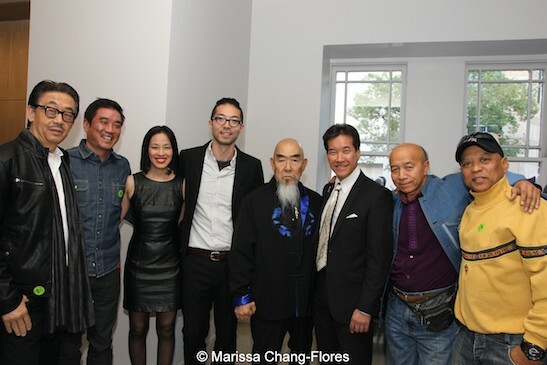 Josh Horowitz, Peter Kwong, Lia Chang, Gerald Okamura at JANM’s Tateuchi Democracy Forum in LA on April 8, 2015. Photo by Marissa Chang-Flores. 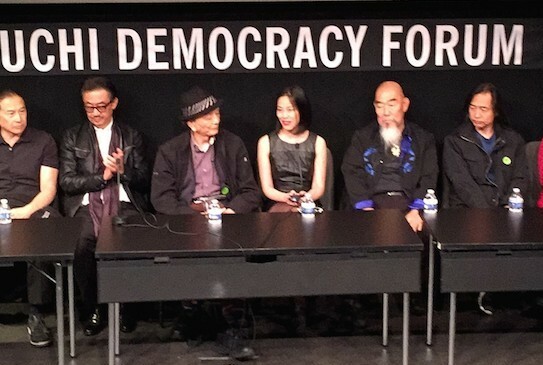 Oliver Ike, Lia Chang, Ewart Chin at JANM’s Tateuchi Democracy Forum in LA on April 8, 2015. Photo by Marissa Chang-Flores. 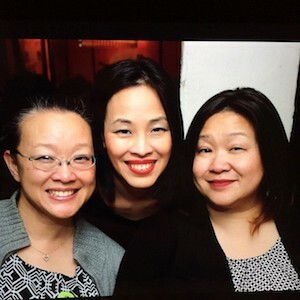 Lia Chang and Ed Moy at Far Bar in LA on April 8, 2015. 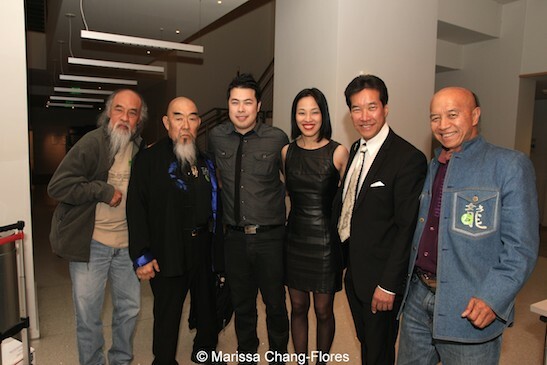 Rafu.com: A ‘LITTLE CHINA’ REUNION, Cast members of 1986 film gather at JANM.